Palestinian haggadist. He is cited only once under this name, and then as author of an interpretation which elsewhere is attributed to another (Lam. R. i. 5; comp. Sanh. 104b). 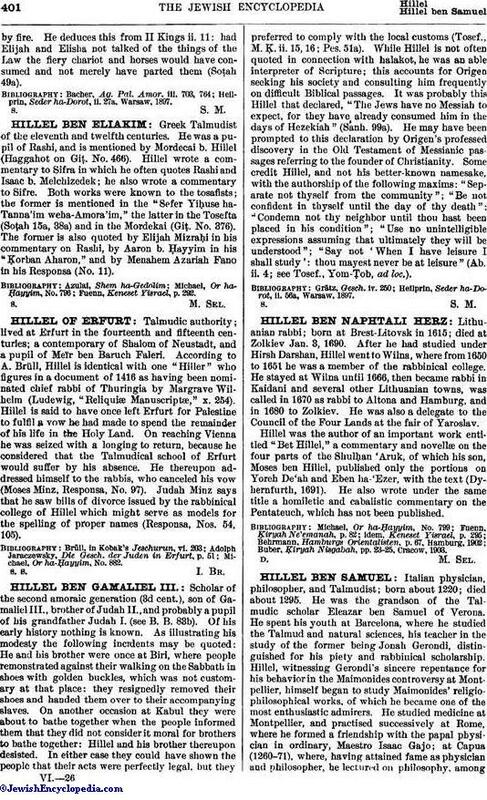 He is identical with Alai or Ilaa b. Berechiah, "Hillel" being a variant of this name (comp. Ela). Under this name he appears several times (see Ta'an. 10a; Sanh. 94b; comp. Rabbinovicz, "Diḳduḳe Soferim," ad loc.). Among several of his homiletic interpretations, grouped together for students, there is one which declares that when two students travel together and do not discuss the Law they deserve to be consumedby fire. He deduces this from II Kings ii. 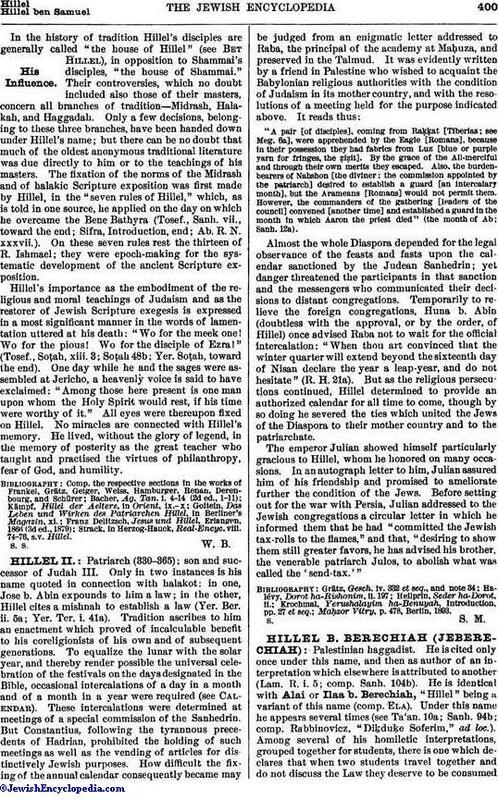 11: had Elijah and Elisha not talked of the things of the Law the fiery chariot and horses would have consumed and not merely have parted them (Soṭah 49a). Heilprin, Seder ha-Dorot, ii. 27a, Warsaw, 1897.